“We have options available under the Labour Relations Act,” Ontario Secondary School Teachers’ Federation president Harvey Bischof told CTVNews.ca Monday. 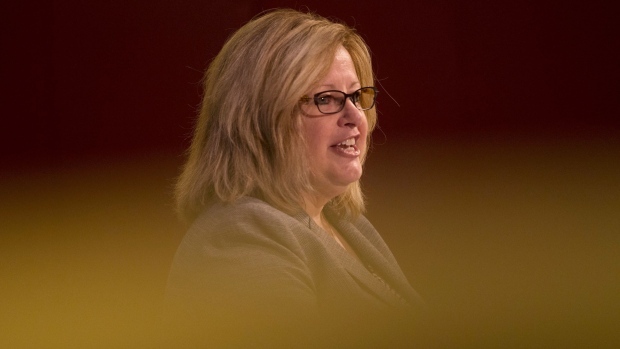 Education Minister Lisa Thompson announced a suite of changes to Ontario’s education system earlier this month, including a decision to increase class sizes between Grade 4 and Grade 12 and requiring high school students to obtain at least four credits through online learning. Thompson has called the changes a way to safeguard the future of the education system, and described the increased class sizes as a way for students to build resiliency. While no teachers will be fired under the current plan, teaching jobs will be eliminated via attrition. OSSTF has said that approximately 3,600 high school teaching jobs – more than 25 per cent of the total in the province – will disappear within four years. The union has also estimated that changes to how grants are allocated will result in $1.4 billion less in funding for the education system. Bischof said he has not heard one positive response to the newly announced changes from anybody in the school system. In a video posted to the OSSTF website, he said the union had been reaching out to the province since last spring’s election to offer suggestions on ways to improve the education system, but had only received one 30-minute meeting. “They have clearly refused to heed the voices of frontline workers who are the real foundation of Ontario’s excellent education system,” he said. The province’s collective agreements with its major teachers’ unions expire at the end of August. Most of the heavy lifting in contract negotiations is typically done through centralized talks, with board-by-board agreements being struck afterward. Bischof said centralized talks between OSSTF and the province are expected to begin in a few weeks’ time, which he described as a typical timeframe for negotiations to get underway. Discussions on negotiation strategy between OSSTF and its local chapters are expected to happen this week. The unions are expected to raise issues related to class sizes and staff reductions as part of the bargaining process.